I have to admit, cooking gadgets are one of my favourite things (or many things as the case may be). For me, wandering through a kitchen store is like a kid in a candy store (maybe worse). I don’t pick up just any old thing though. It usually has to have a purpose and is something that I will use… hopefully frequently. If you know you will use a gadget frequently, spend the money and invest in it. There’s nothing worse than trying to prepare a meal with flimsy equipment. 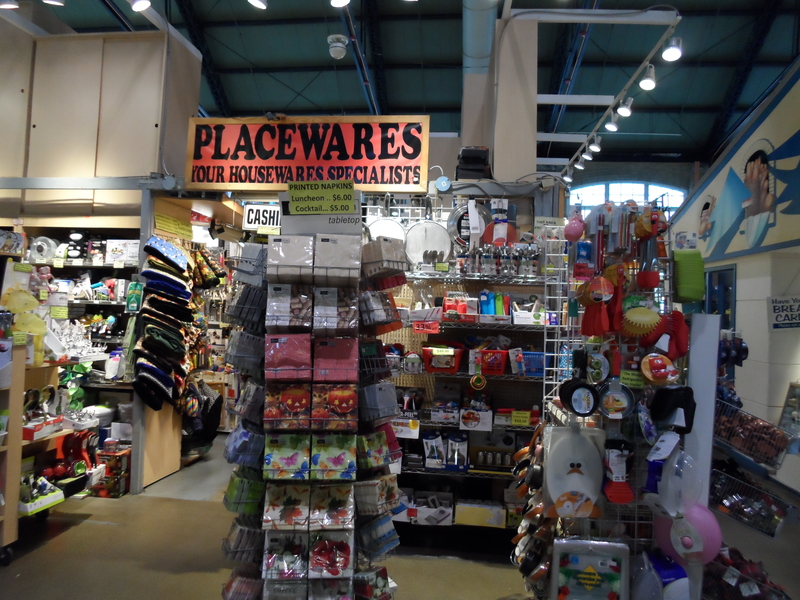 One of my favourite kitchen supply stores in Toronto is PLACEWARES. 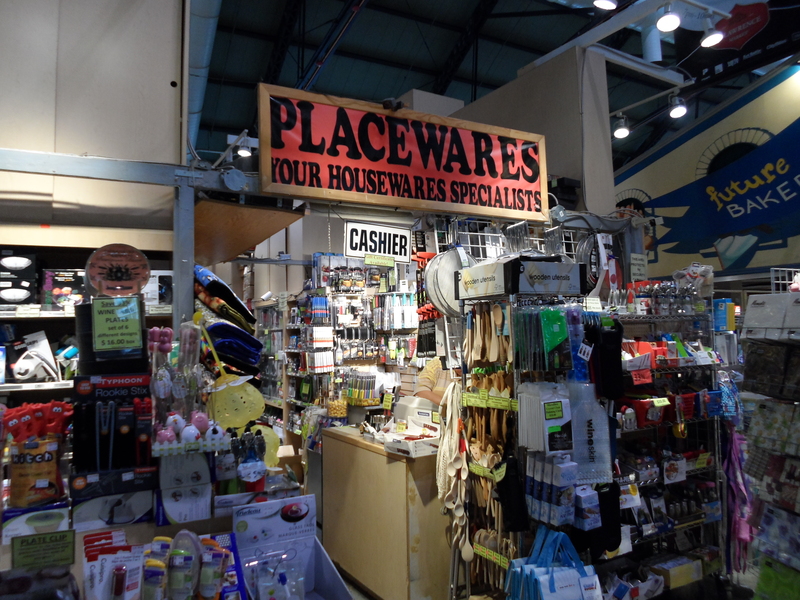 They are centrally located inside the St. Lawrence Market on the main floor. Their prices are very competitive, the staff knowledgeable about their product and very helpful. If you can’t find what you are looking for – ask, because this store is packed sky high with culinary goodies. I have bought countless items from them for myself and as gifts for family and friends. One of the problems I have, at home or when traveling, is not being able to pass by a kitchen store. Oh there are other stores that hold the same attraction (food stores, shoes, handbags, art supplies, book stores, almost any shopping store with a door really…), and are a danger to my bank account, but cooking supply stores are definitely at the top. My latest acquisition while on vacation was from GADGETS CUINA. 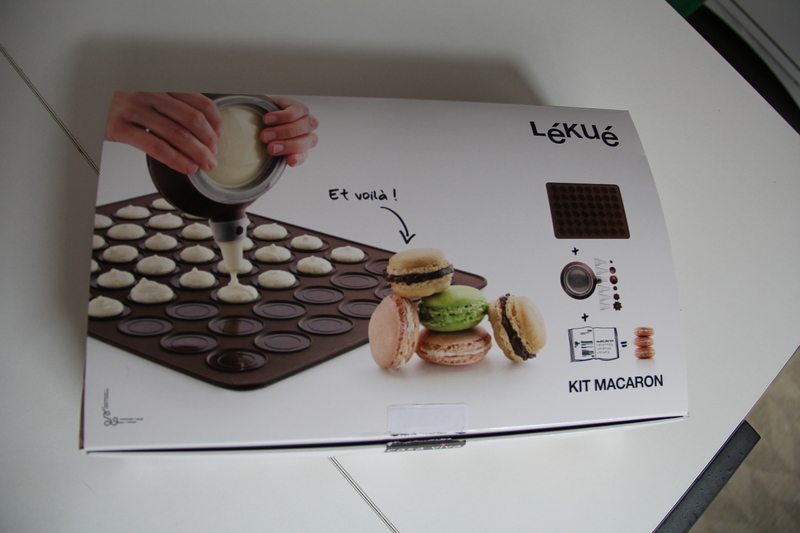 In this particular store, I came across a Lékué Macaron Kit. Do I make macarons? Umm… no, never have but I am soon to become an expert at it. Or at least develop a reasonable ability to make them. This nifty item comes with a recipe book for 6 different flavours of macarons (in 4 different languages), a silicone mat with 2 sizes of indented shapes (makes 24 cookies) and a squeeze bottle for the batter with 6 decorating nozzles. Not a bad deal for 38 euros (approx. $48 Cnd). If the macarons fall flat, then I’ll at least have the ability to decorate cookies and cakes with the kit. 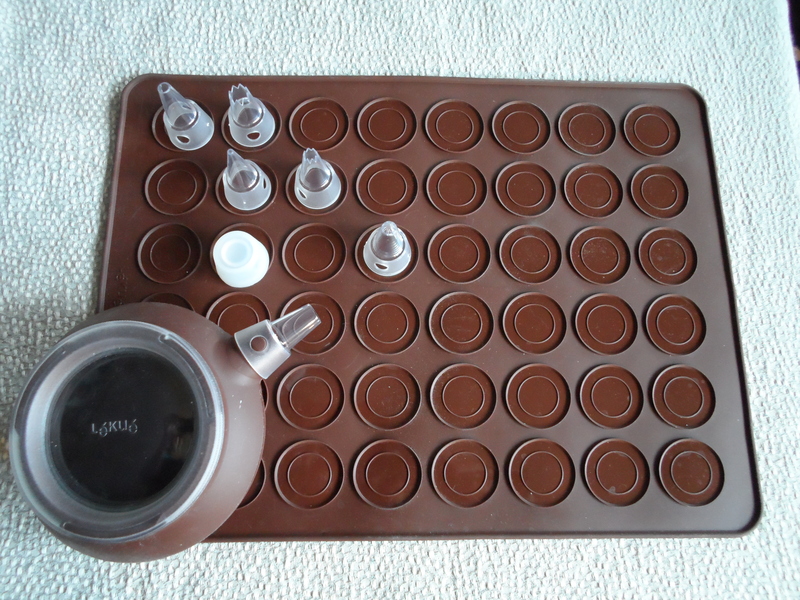 You could also use this kit to make mini whoopie cookies, or macaroons. Lékué has a complete line of all kinds of cooking mats, dispensers, tools and containers, all mainly in silicone and it was tough not to pick up more items. After all, silicone would be much lighter in my luggage than the shiny stainless steel paella dishes that I kept eyeing. The first time I baked with silicone it just felt wrong. Putting plastic in an oven… intentionally? But they really are wonderful to bake with and the results are amazing. Just make sure you put the mould on a cookie sheet before you fill with batter. After seeing window displays filled with brightly coloured delectable macarons (even MacDonald’s had them in their front windows which was really odd.. MacRons? ), I am now on the hunt for the easiest, tastiest, most colourful macaron recipes. 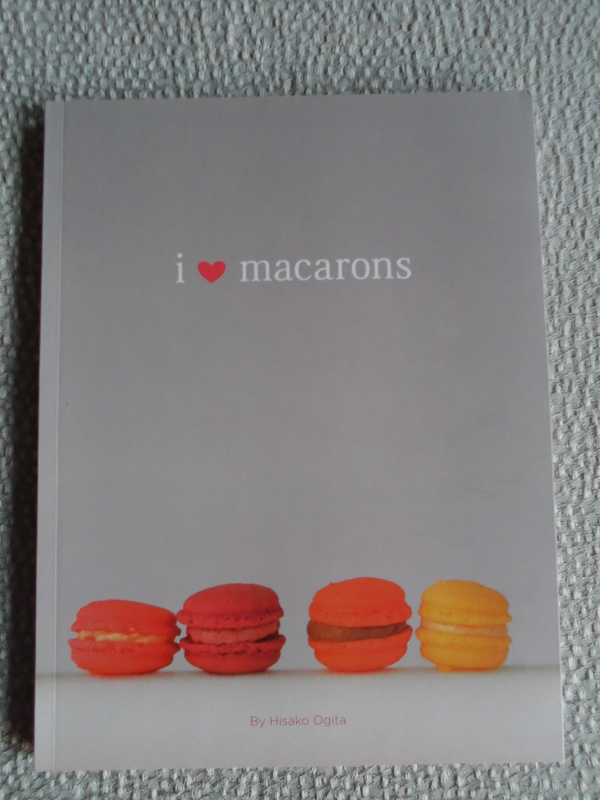 I found this recipe book that looks promising and will compare it to the book that came with the macaron kit. There doesn’t seem to be many ingredients for these colourful two bite deserts: egg whites, confectioners sugar, ground almonds. There are so many options for fillings but getting the texture of the cookie right is going to be a challenge, especially since my oven has a hot spot in it. Once I find and test the best one(s), I’ll post my results along with the opinions of my controlled test group (family, friends and work colleagues). Posted in Kitchen Gadgets, St Lawrence Market, Tips & TricksBookmark the permalink.